This bright & airy first floor 1 bedroom apartment is perfectly equipped for self catering and is ideal for both long and short stays. This bright & airy first floor 2 bedroom apartment has views over looking Hampton Court Gardens. With a fully fitted kitchen it is perfectly equipped for self catering and is ideal for both long and short stays. This bright & airy first floor 2 bedroom apartment is perfectly equipped for self catering and is ideal for both long and short stays. 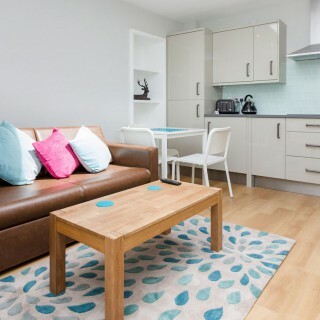 This bright & airy serviced Studio apartment is perfectly equipped for self catering and is ideal for both long and short stays.